On Sat. 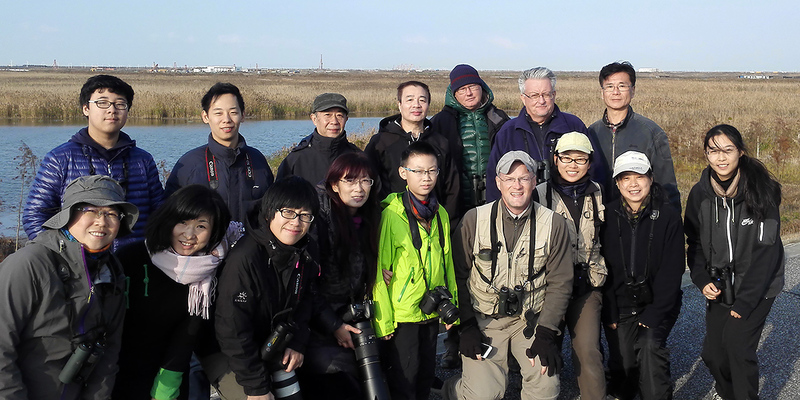 26 March, Elaine Du and I noted 53 species at Nanhui in southeast Shanghai. Despite air pollution that made my nose run, we enjoyed yet another day of Metro + walk-’n’-bird. We covered 15 km on foot, going camera-less and carrying our Swarovski scope. We took a taxi from the Dishui Lake Metro Line 16 station to Microforest 2 (30.926039, 121.970725). 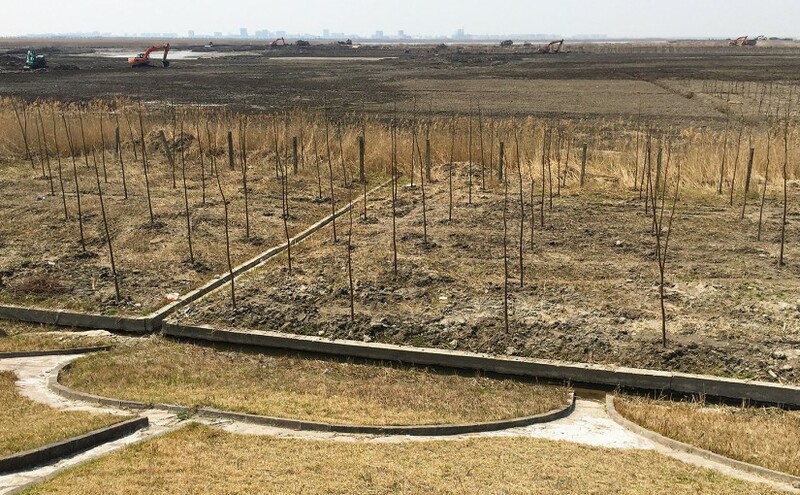 From there we walked back to the station, along the way exploring the reed beds, checking the shore, and scanning Dishui Lake. 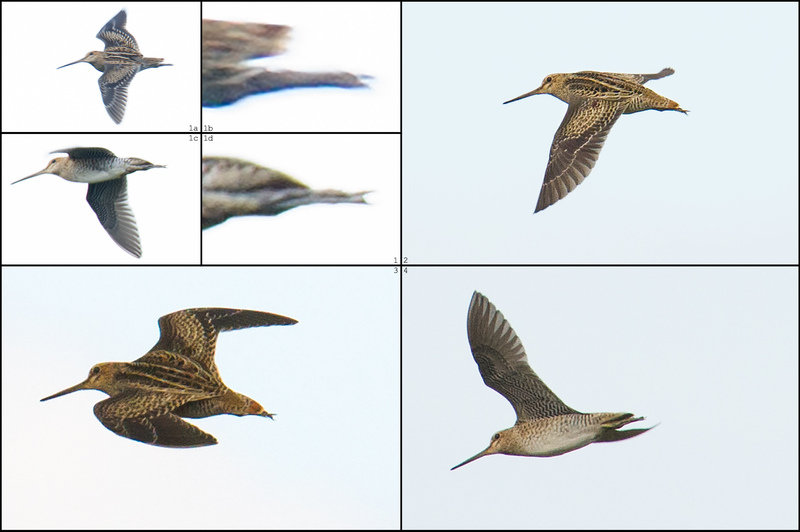 Highlights: Falcated Duck 180, Garganey 8, Black-necked Grebe 4 (3 in nearly complete breeding plumage), Eurasian Spoonbill 8, Eurasian Bittern 1, Intermediate Egret 1, Kentish Plover 1, Barn Swallow 4, Reed Parrotbill 27, Naumann’s Thrush 1, Eastern Yellow Wagtail 5 tschutschensis, Richard’s Pipit 8, Buff-bellied Pipit 46, Chestnut-eared Bunting 5, Little Bunting 9 (1 singing), Pallas’s Reed Bunting 70. The transformation of the wetland continues apace. I took a photo showing a former marshy-reedy area, now drained, in which hundreds of a single species of coniferous tree are being planted. In this sector, sightings of Black-faced Spoonbill used to be regular. No more. 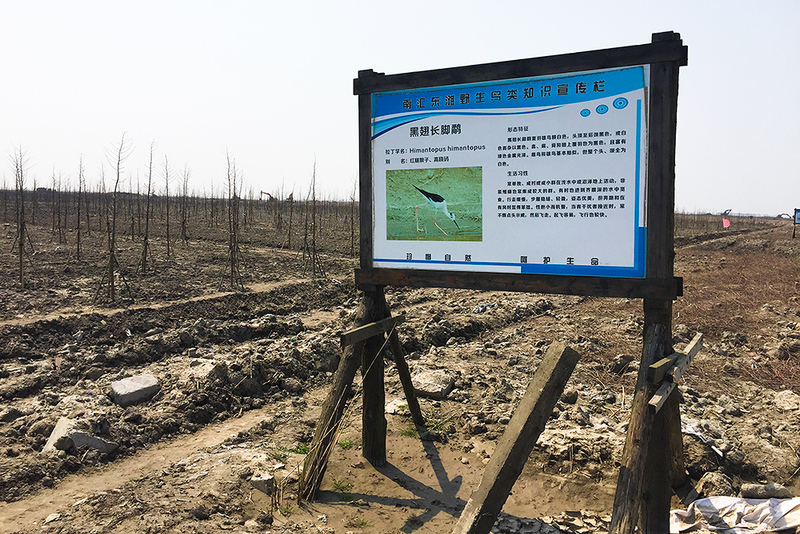 INCONGRUOUS: Sign from transformed wetland still stands, despite drainage and planting of hundreds of trees in area where Black-winged Stilt once foraged. We skipped the Magic Parking Lot after a binocular check revealed about 100 cars parked around the lot. 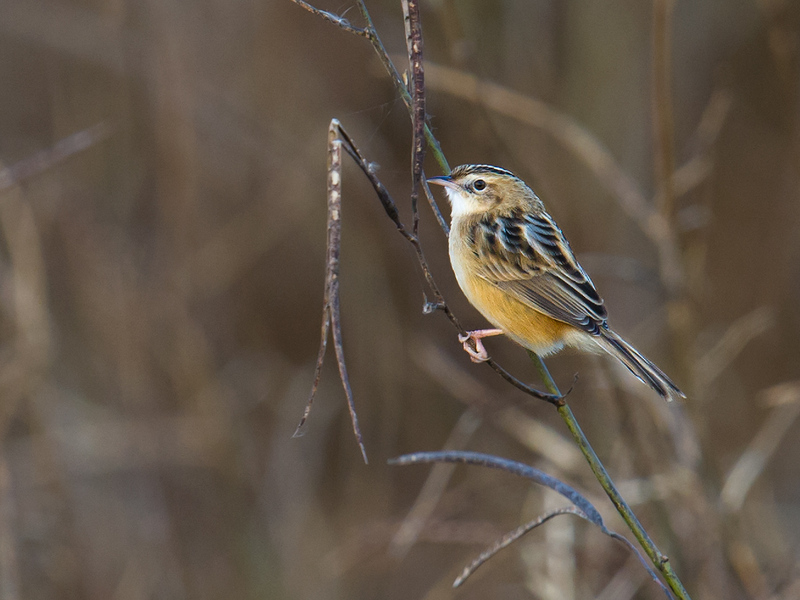 More and more locals are using our old birding area, especially on mild spring days such as Saturday. On Fri. 25 March, Elaine and I viewed the Huangpu River from the Lujiazui side near Oriental Pearl Tower at a place called Binjiang Park (not to be confused with Binjiang Forest Park). 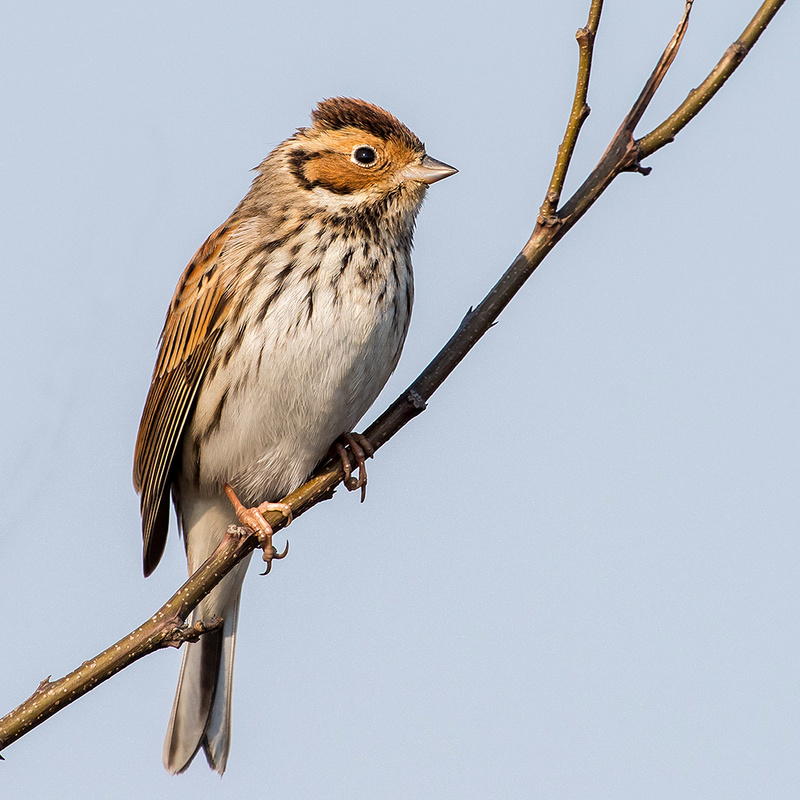 Activity was little; we had just a handful of Vega Gull plus Black-crowned Night Heron, Little Egret, and a single Grey Heron as well as singing Chinese Blackbird, resident Light-vented Bulbul, and a leucopsis White Wagtail. 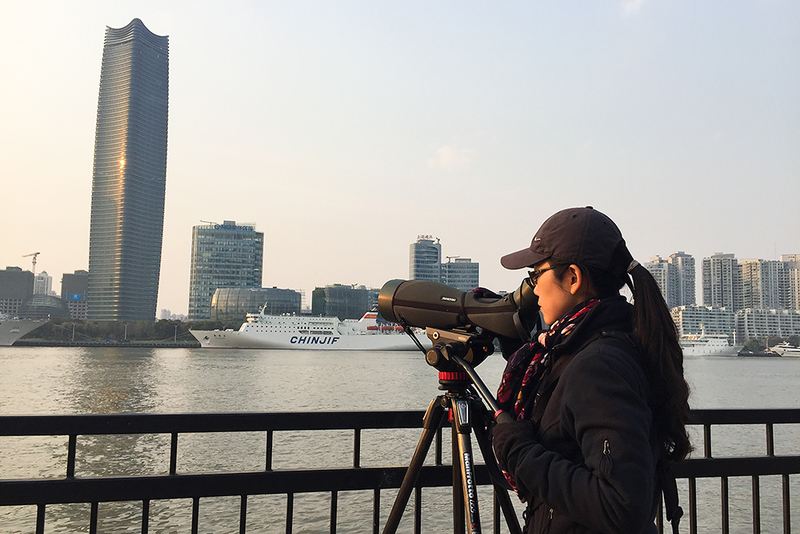 Elaine Du birding Huangpu River from Lujiazui side, 25 March 2016. 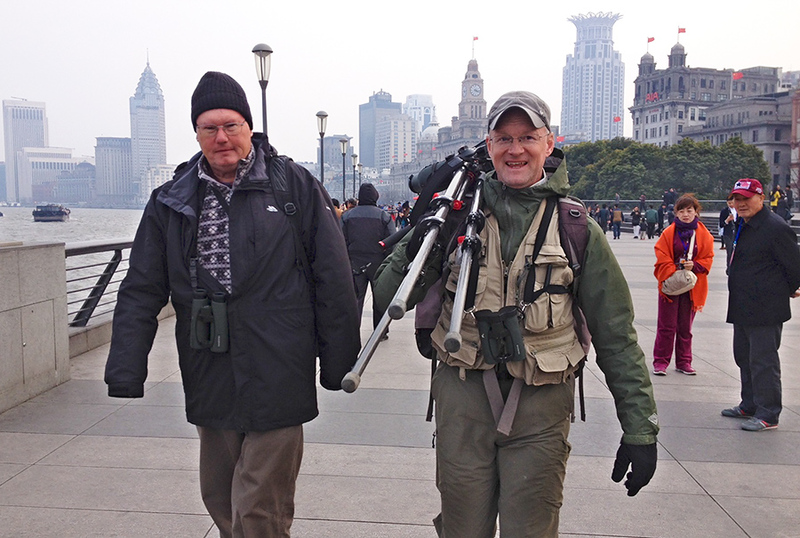 We met a local bird photographer who said he goes to Lujiazui often. 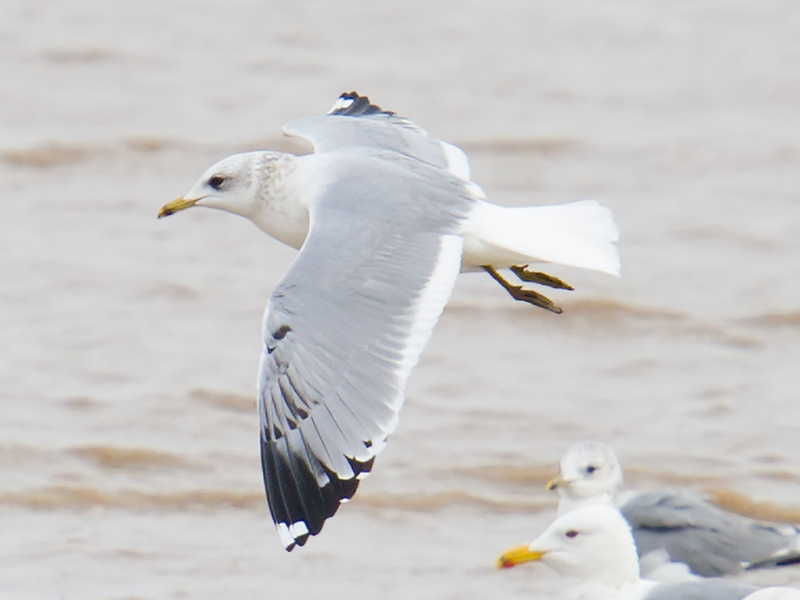 At times, this photographer said, “thousands” of gulls can be seen on the river around Lujiazui-Bund. He said he’d had just such a banner day last week, and he was surprised at the lack of gulls on Friday. 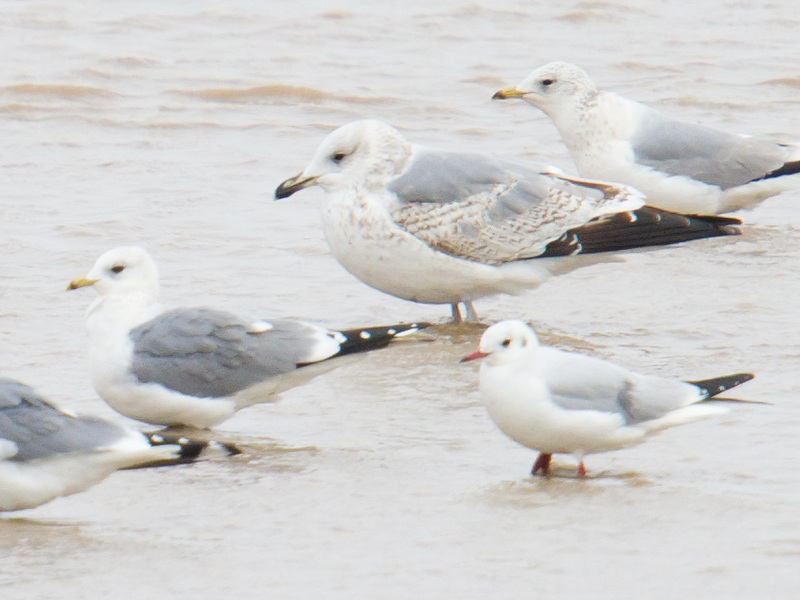 This gentleman had photos of Black-tailed Gull as well as many Larus vegae vegae/mongolicus. 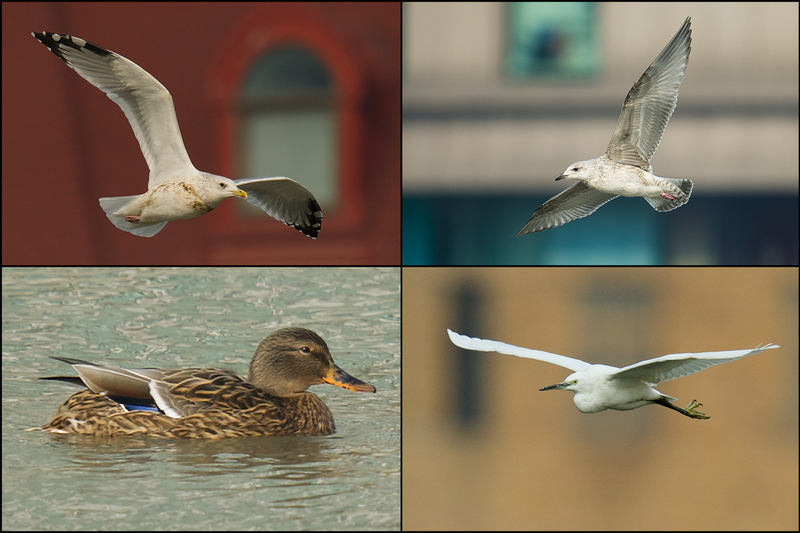 BIRD LIFE ON THE BUND: Vega Gull (top L, top R) will soon return to the wastes of Siberia, their northern home. Mallard (bottom L) sometimes appear in Huangpu River. At low tide, Little Egret congregate on thin strips of exposed mud. Photos taken 8 Dec. 2012 and retrieved from craigbrelsford.com archive. 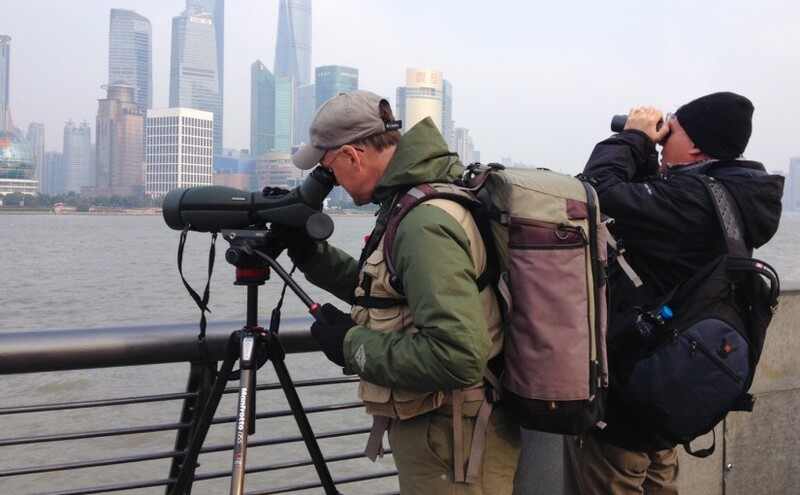 I get a romantic feeling birding the Bund and Lujiazui, one of the world’s best-known urban riverscapes. The romance is especially strong on a sunny day with the polluted air acting as a filter, reducing the sun’s rays to a soft, warm glow. Vega Gull appear; the Huangpu River is their stage, the famous skyscrapers their backdrop. The gulls will soon return to the wastes of Siberia, their northern home. Versatile creatures are they, specks of wild Asia in the heart of Shanghai. 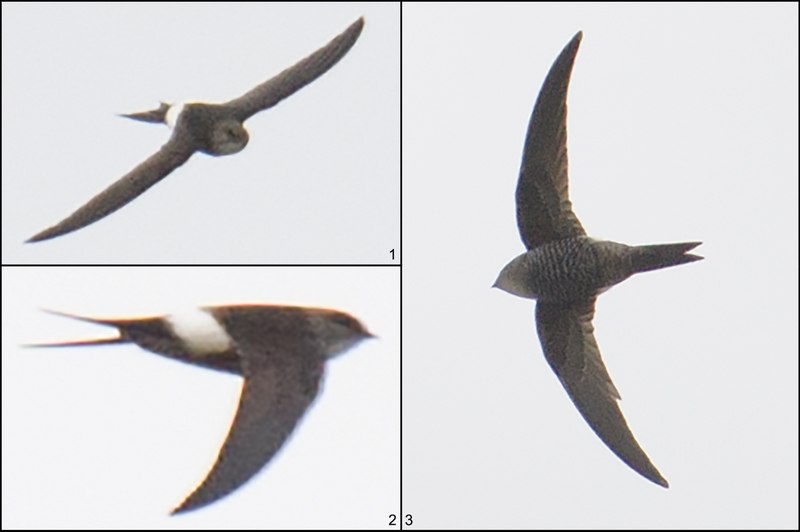 List 1 of 1 for Fri. 25 March 2016 (7 species). Binjiang Park (Bīnjiāng Gōngyuán [滨江公园]; 31.235662, 121.497396), a small urban park on Huangpu River in Pudong New Area (Pǔdōng Xīn Qū [浦东新区]), Shanghai, China. Sunny; low 4° C, high 13° C. Visibility 10 km. Wind NNW 15 km/h. PM2.5 AQI: 109 (unhealthful). Sunrise 05:50, sunset 18:10. FRI 25 MAR 2016 16:10-17:10. Craig Brelsford & Elaine Du. Black-necked Grebe through spotting scope, Dishui Lake, 26 March 2016. Elaine and I still have not bought an adapter for taking pictures with my iPhone 6 through our Swarovski ATX-95. 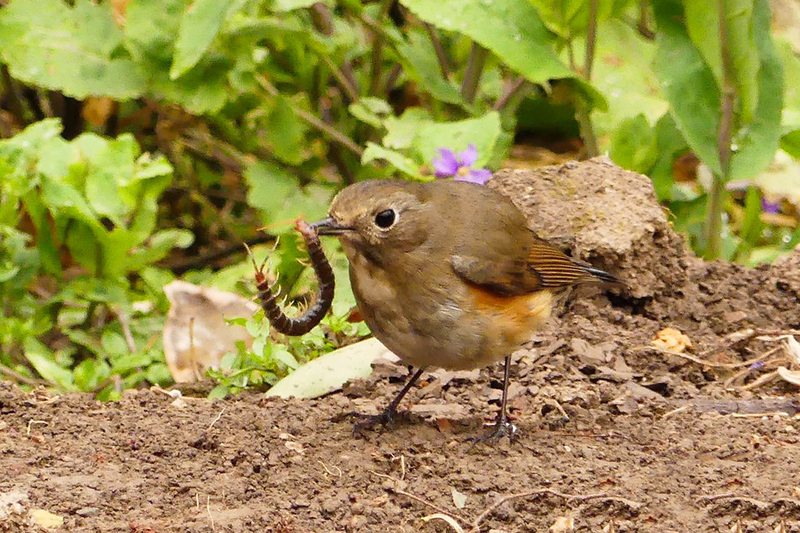 By holding my hand steady against the eyepiece, I am able to acquire record shots as good as this. The grebes were at least 100 m away, far beyond the reach of my Nikon 600 mm F/4 lens; in fact, with my camera and lens, I would have been hard-pressed to find the grebes, let alone produce a useful photo. 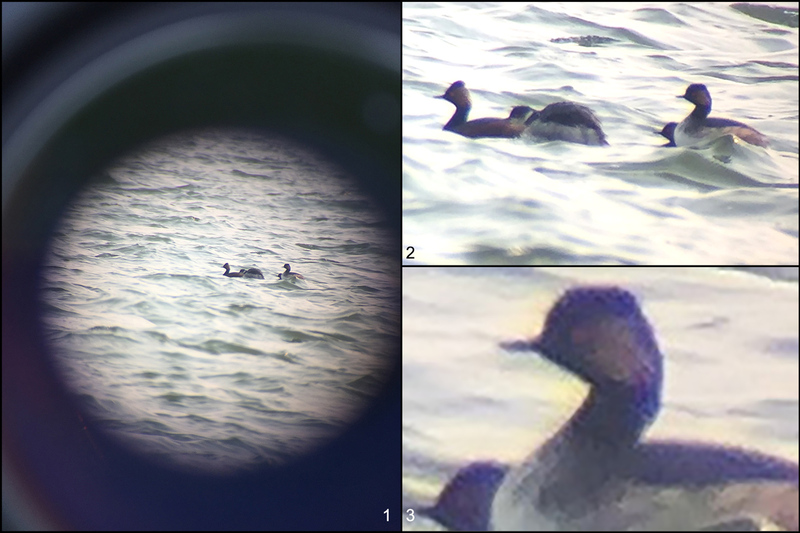 The scope-phone combo, by contrast, allows us to peek into the grebes’ world. 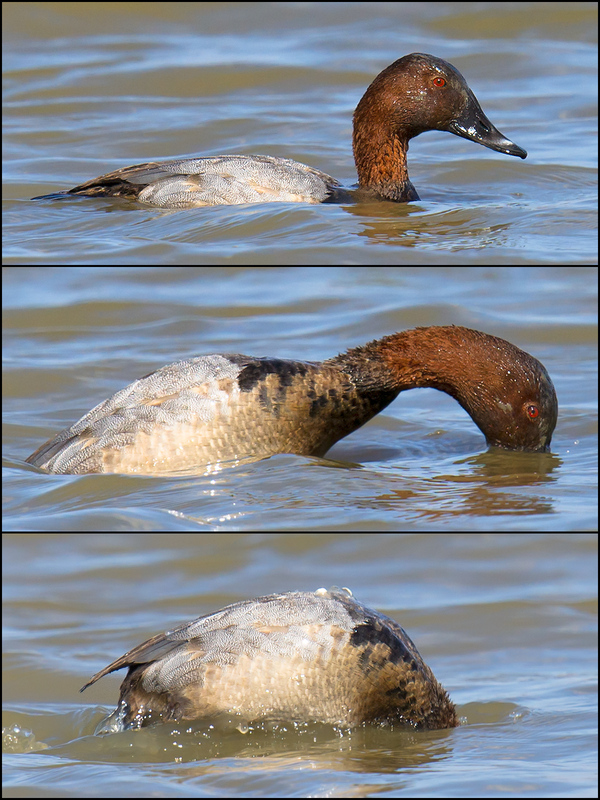 In Panel 3 we can clearly see the remaining non-breeding plumage on the lower breast of the grebe. The red eye and yellow ear tufts are obvious. 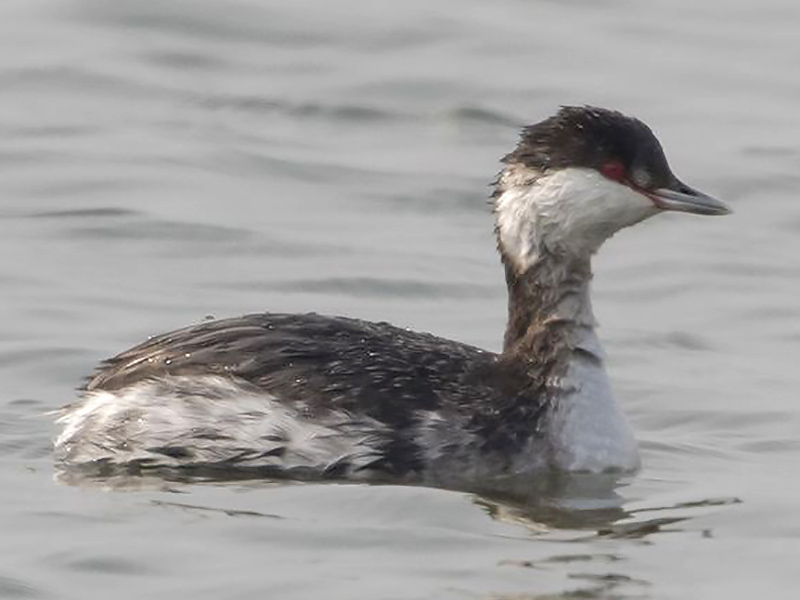 Black-necked Grebe is a scarce winter visitor in the Shanghai region. 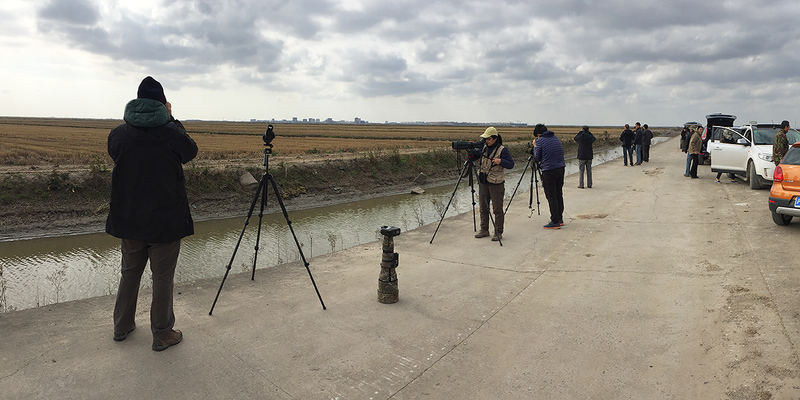 Around Pudong Nanhui Dongtan Wetland (Pǔdōng Nánhuì Dōngtān Shīdì [浦东南汇东滩湿地]; 30.920507, 121.973159), Shanghai, China. 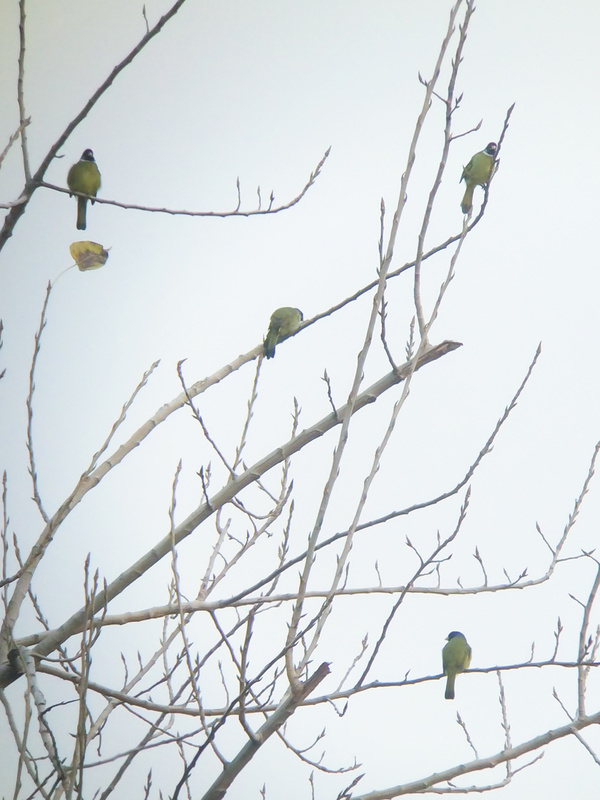 List includes birds found at Dishui Lake (30.908702, 121.945124). Sunny; low 5° C, high 15° C. Visibility 10 km. Wind NNW 6 km/h. PM2.5 AQI: 134 (unhealthful). Sunrise 05:49, sunset 18:10. SAT 26 MAR 2016 09:30-17:00. Craig Brelsford & Elaine Du. 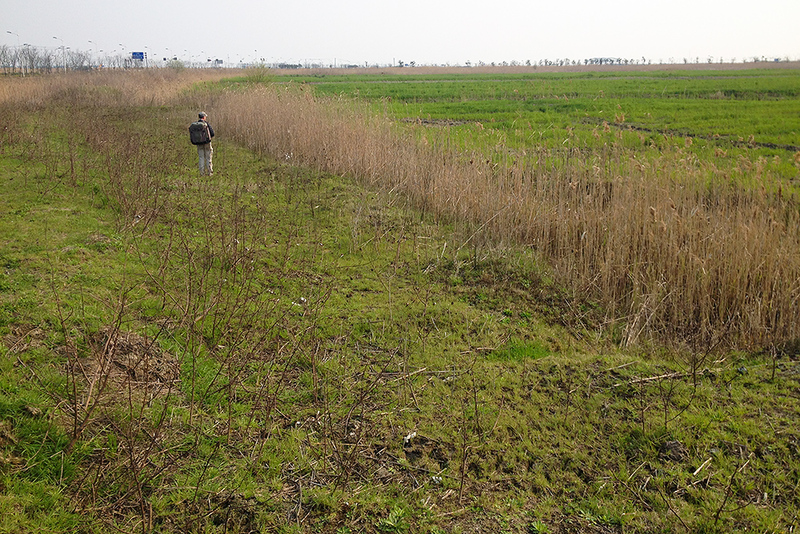 The author in a scrubby strip of land on the edge of a field at Nanhui, 26 March 2016. 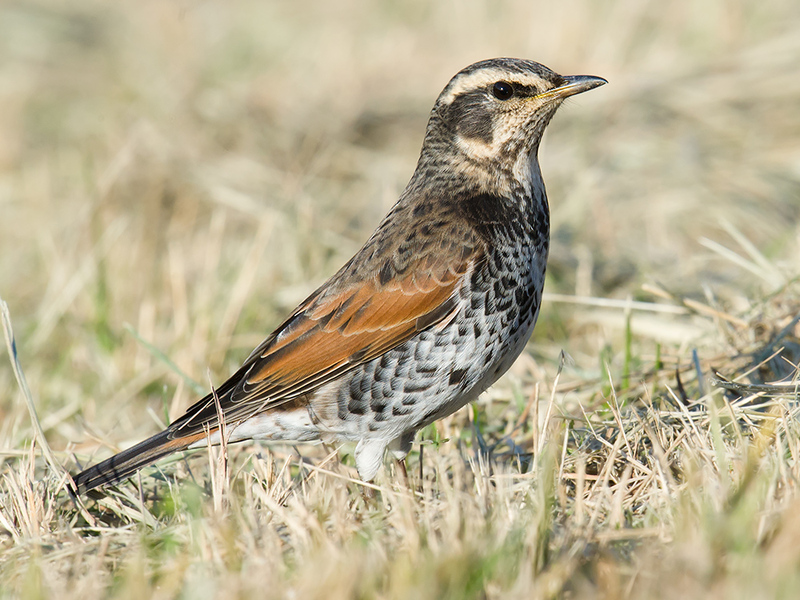 Little Bunting and Black-faced Bunting were in the scrub, Eurasian Skylark and Common Pheasant in the field. The area is just east of Dishui Lake. Photo by Elaine Du. 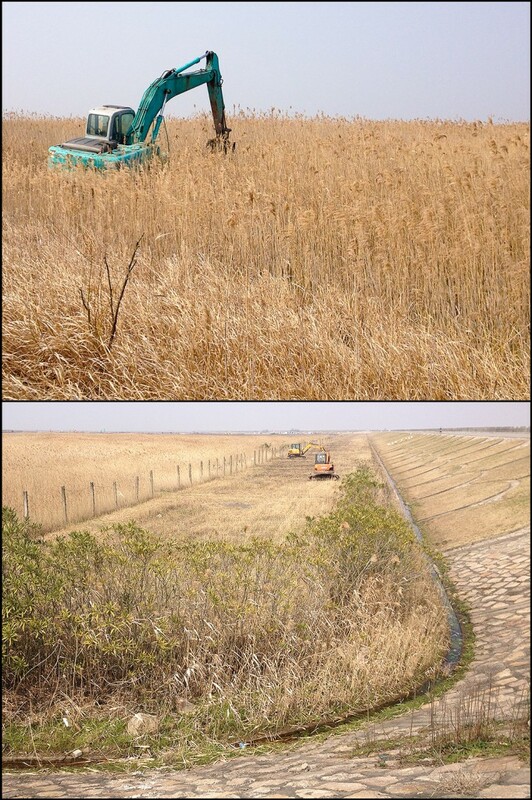 Featured image: Where Black-faced Spoonbill once foraged, digging machines now crawl, transforming critical reed-bed and marshland habitat into an artificial forest. Looming in the background is the brand-new satellite city of Lingang. Nanhui, Shanghai, 26 March 2016. 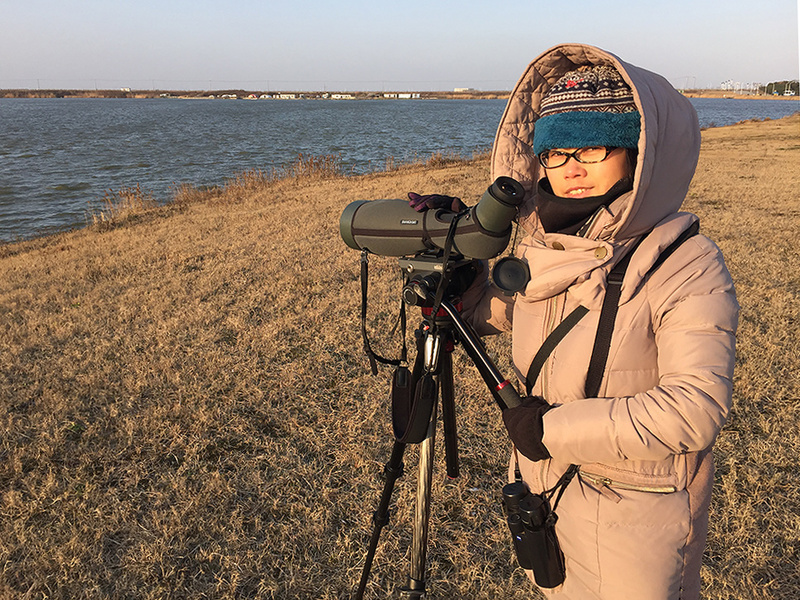 On 23-24 Jan. Elaine and I noted 68 species on one of the coldest weekends in Shanghai in recent memory. 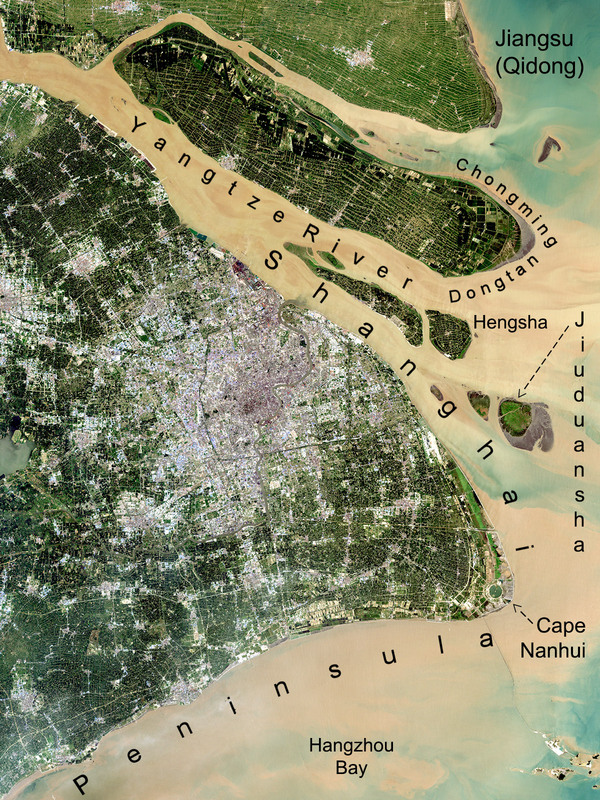 We birded Chongming, the great alluvial island at the mouth of the Yangtze River, and Nanhui. 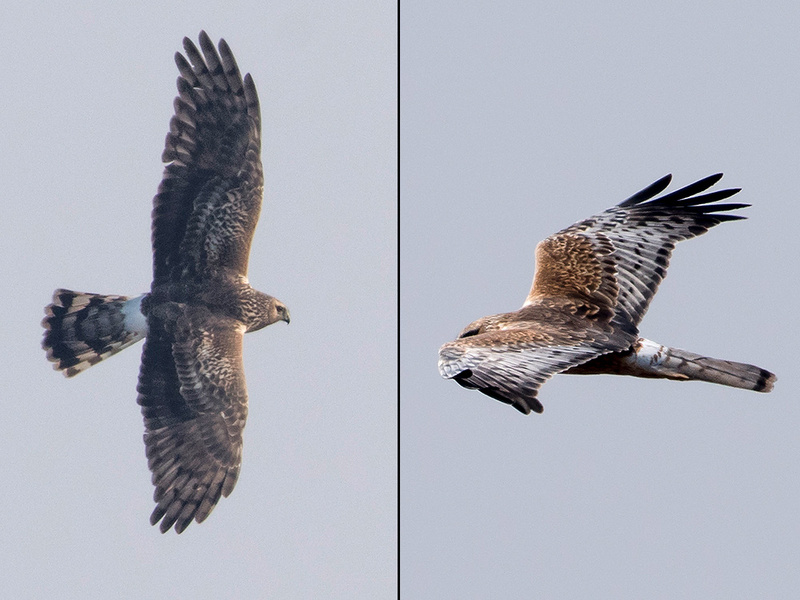 With strong northwesterly winds making temperatures feel as cold as -16°C, many birds lay low, but the strange weather probably played a role in two extraordinary records: 2 Cinereous Vulture (Chongming) and 3 Red-throated Loon (Nanhui). 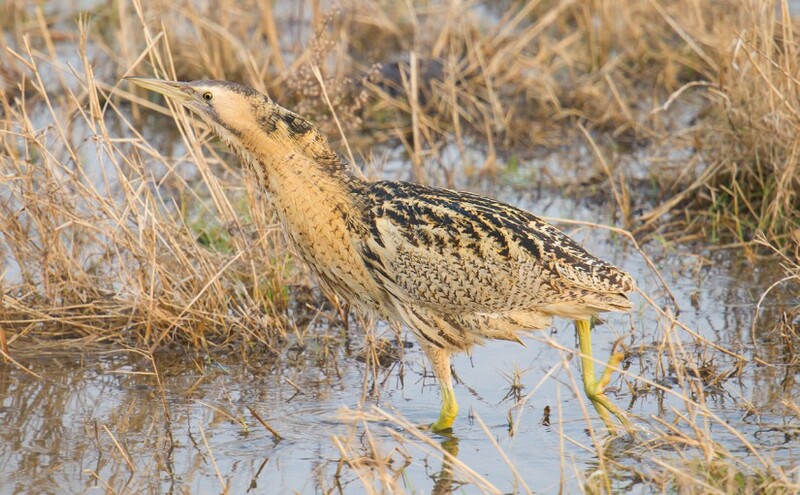 Other notable records were 2 Horned Grebe at Dishui Lake and a winter record of Wood Sandpiper at Nanhui as well as Eastern Yellow Wagtail (taivana) and Red-throated Thrush on Chongming. 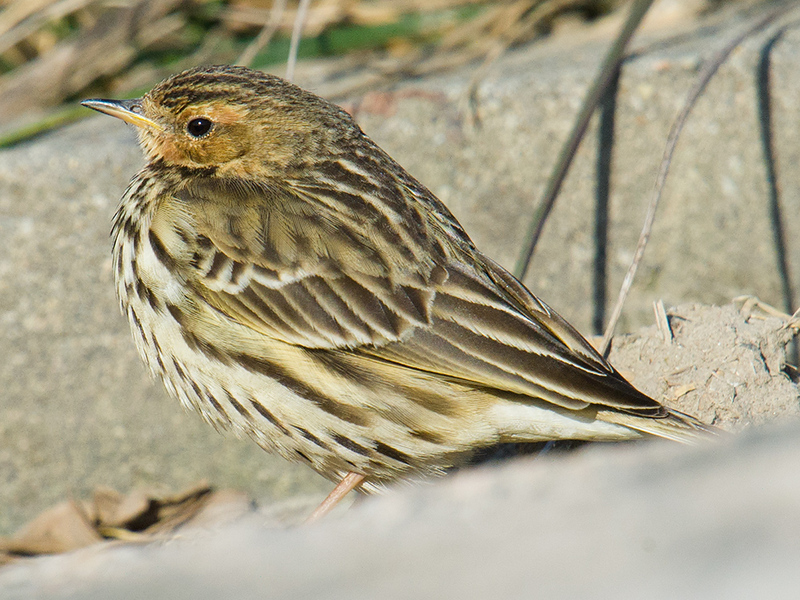 On Chongming and at Nanhui, we had Red-throated Pipit and Water Pipit mixed in with Buff-bellied Pipit. 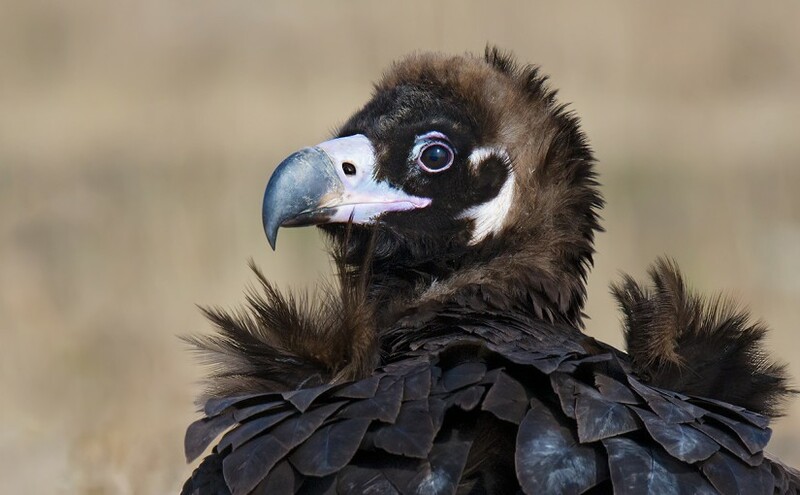 Listed as near threatened by IUCN, Cinereous Vulture breeds across Eurasia, from Spain to China. In China, Aegypius monachus breeds mainly in the west as well as in Hulunbeier in northeastern Inner Mongolia. 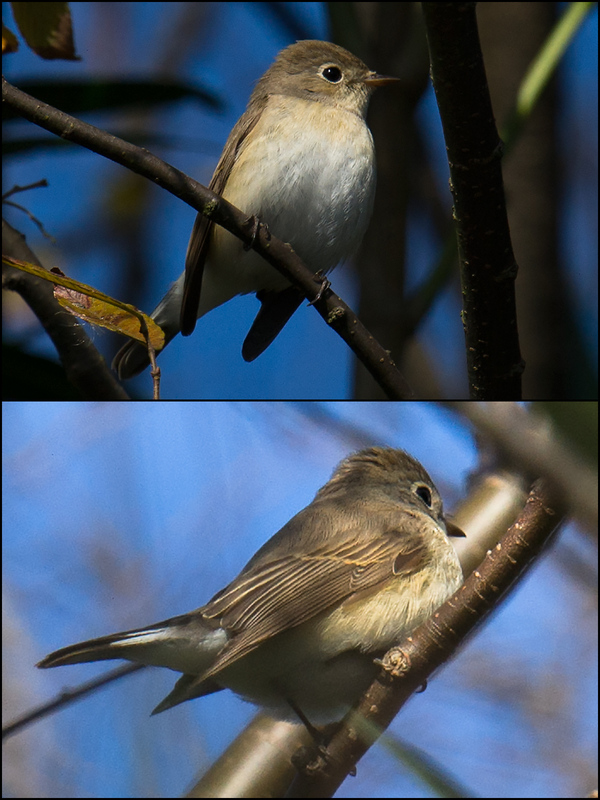 It is a “sporadic” (MacKinnon) or “rare” (Brazil) winter visitor to the southeast China coast. 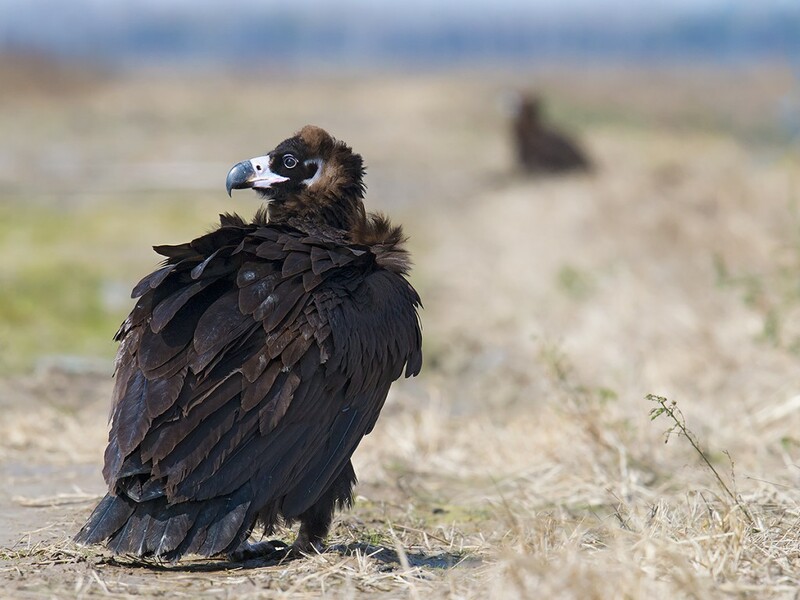 The largest Old World vulture, it has a wing span of about 260 cm (8.5 ft). From a distance, the huge vultures looked like dogs. They usually stayed close together. 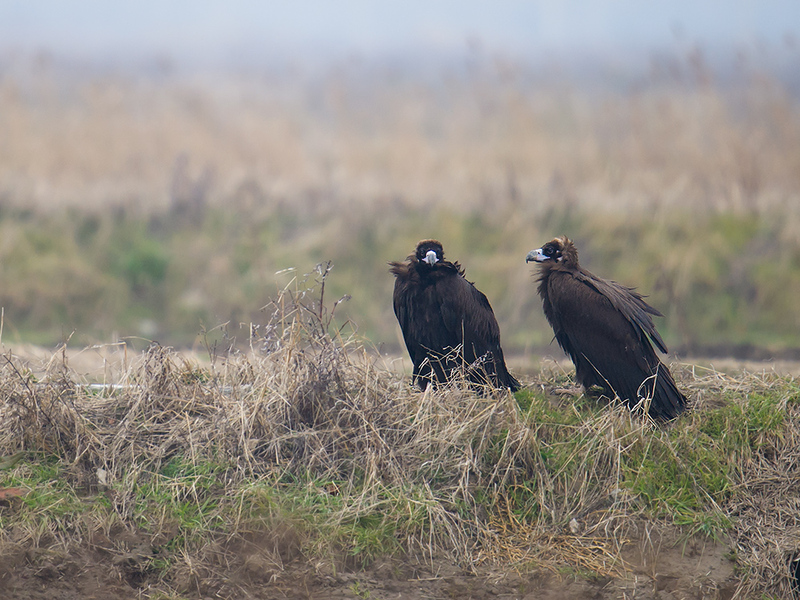 From a distance, the huge vultures looked like dogs as they rested on the ground. The pair was approachable. They usually stayed close together. Their plumage was shiny, and they appeared healthy. 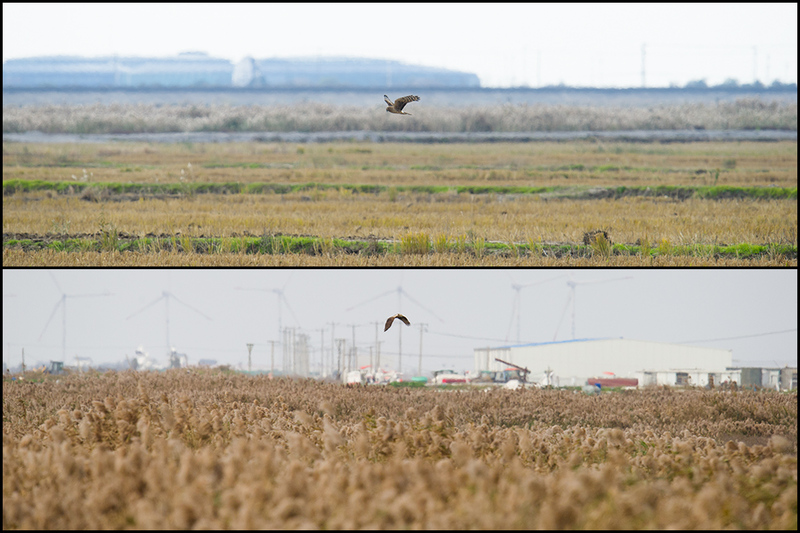 I doubt, however, that the eastern end of Chongming Island is a place that can support a pair of these huge birds for long. 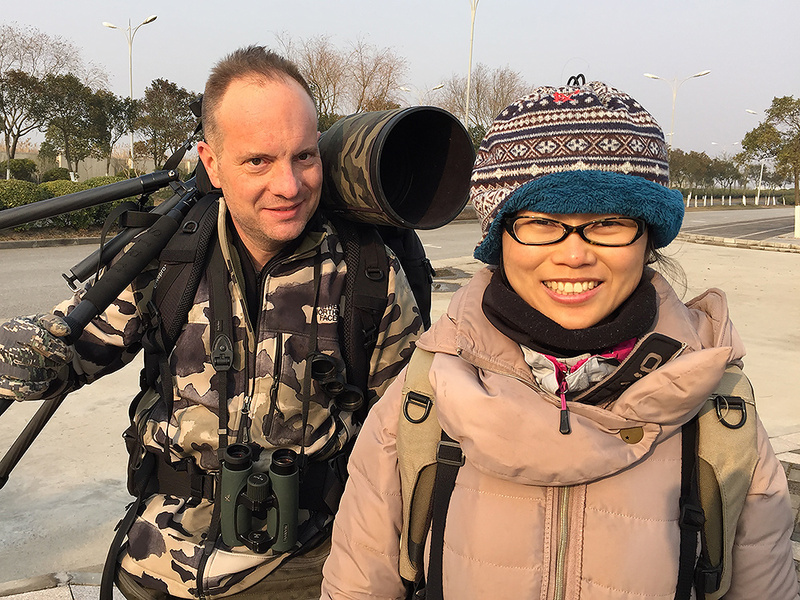 A Chinese photographer we met said the Chongming pair was probably the same pair that had been reported recently in Nantong. 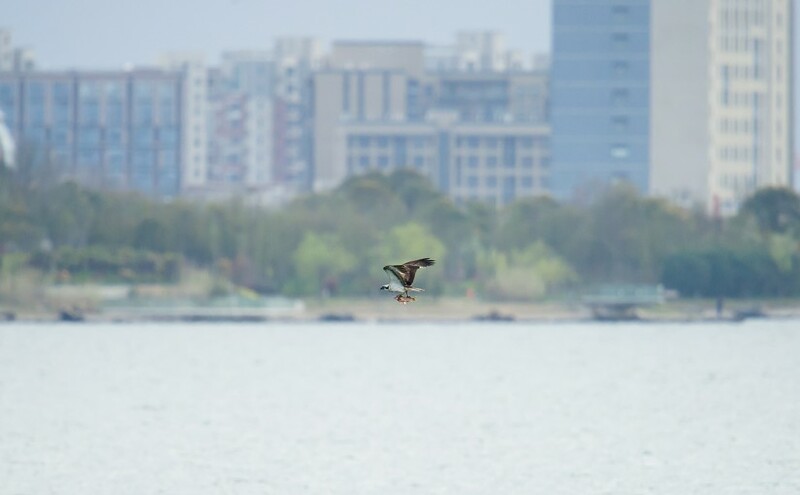 As of Saturday, the vultures had been on Chongming for a week to 10 days. 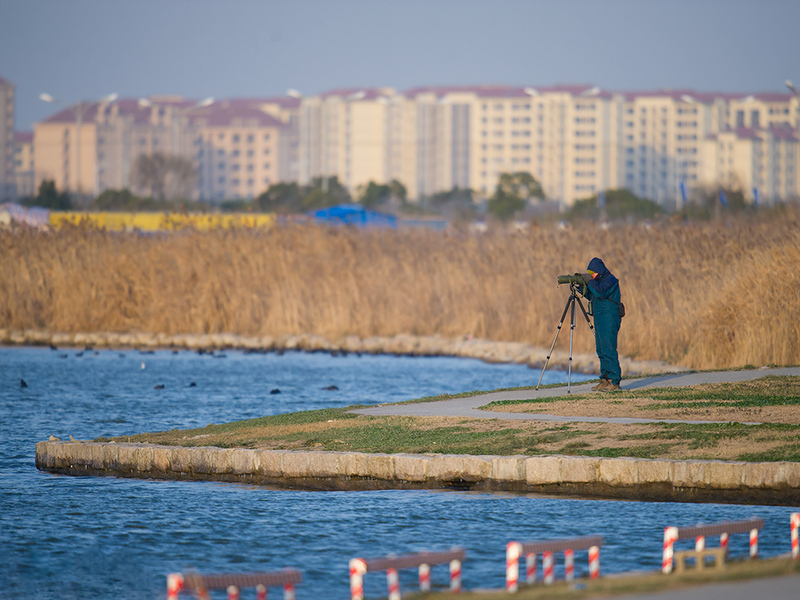 According to the IUCN, only about 50 Red-throated Loon winter along the Chinese coast. 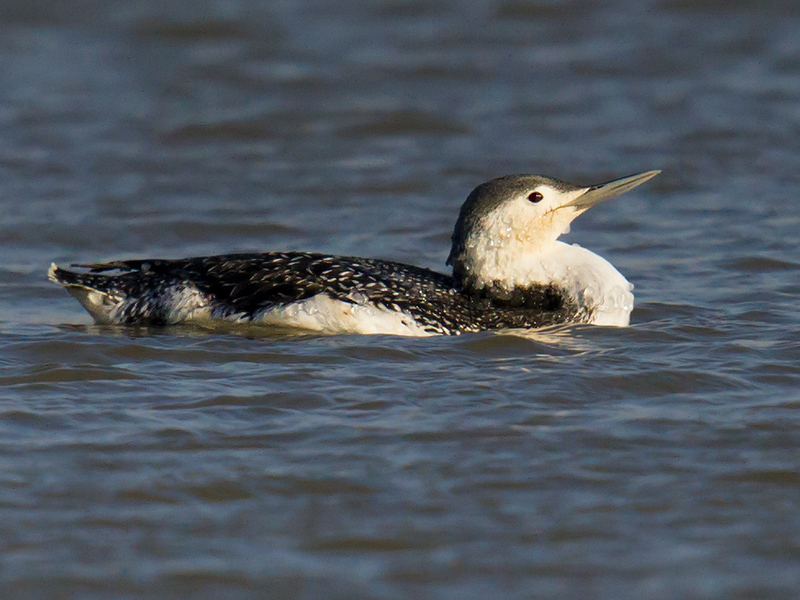 Red-throated Loon is also known as Red-throated Diver. Gavia stellata breeds in tundra bogs and taiga pools above 50° N latitude in Eurasia and North America. 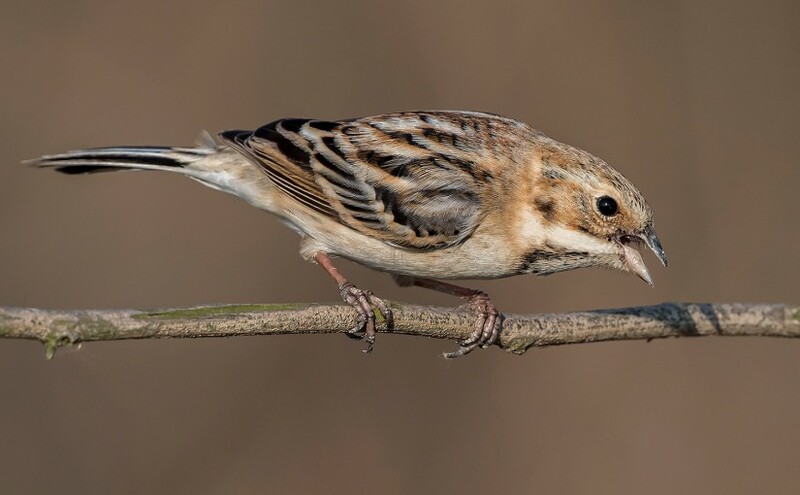 It winters along the coasts of Europe, Asia, and North America. 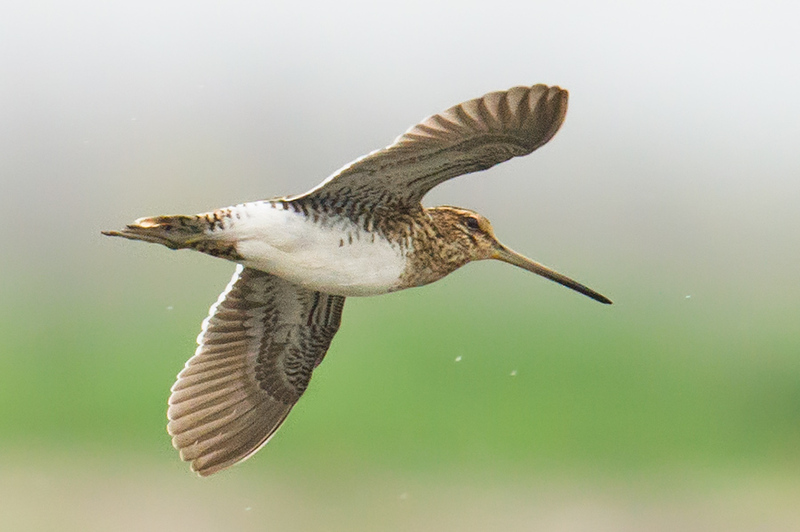 Though the species faces no global threat, it is rare in China, with IUCN estimating that less than 50 spend the winter on the Chinese coast. 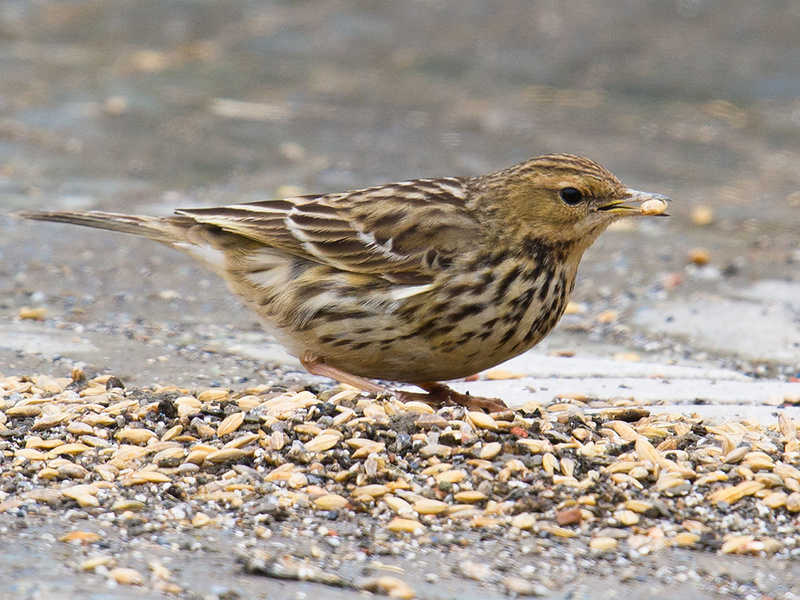 Two of our three birds were feeding in one of the few unfrozen fish ponds inside the sea wall. A third was not feeding, and our partner Michael Grunwell feared it had been contaminated by oil. 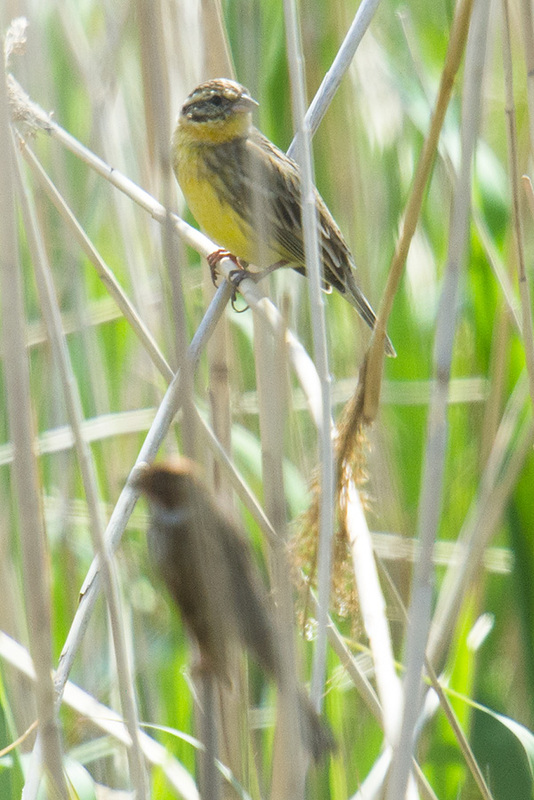 Elaine and I birded Chongming alone. 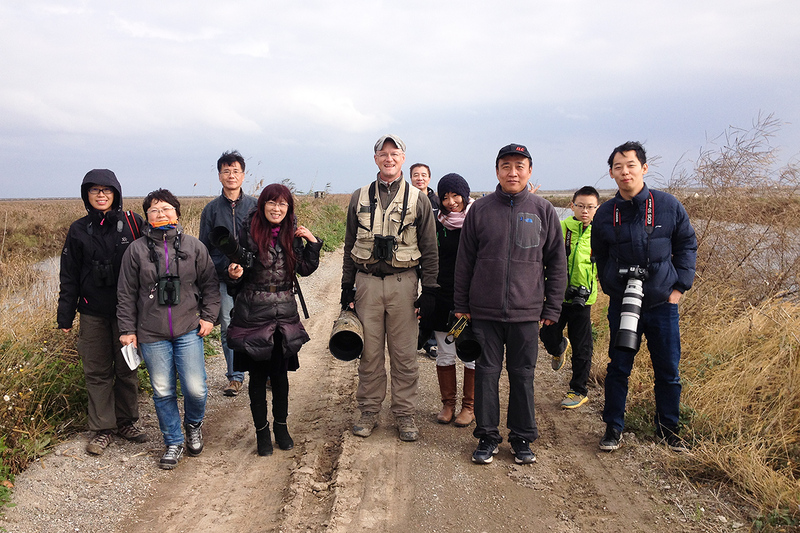 On Sunday at Nanhui, Michael joined us. We car-birded both days, driving a Skoda Scout rented from Avis. 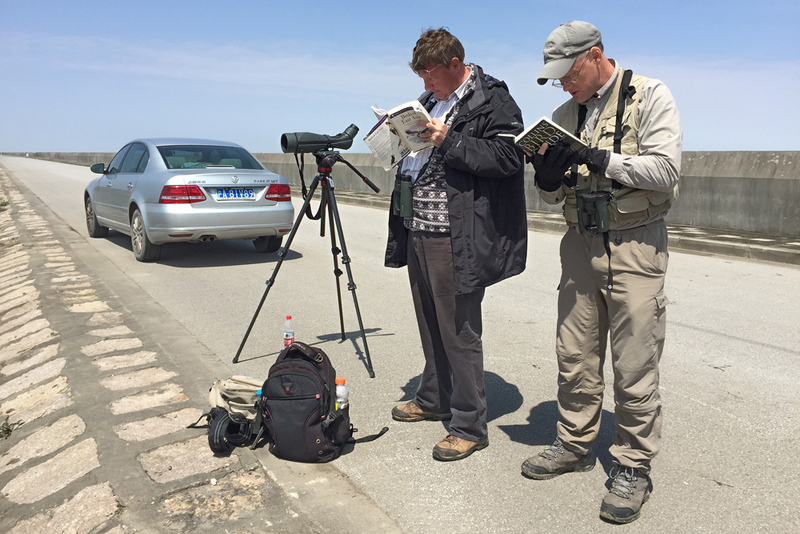 Cinereous Vulture and Red-throated Loon became the 265th and 266th species of bird that Elaine and I have noted in the Shanghai region since 11 Sept. 2015. 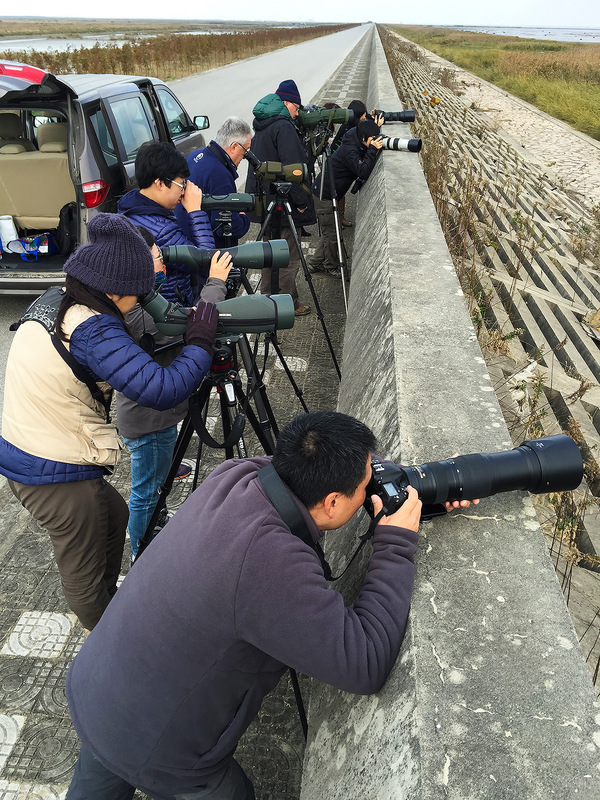 Michael Grunwell searching for Horned Grebe at Dishui Lake, Shanghai, 24 Jan. 2016. List 1 of 1 for Sat. 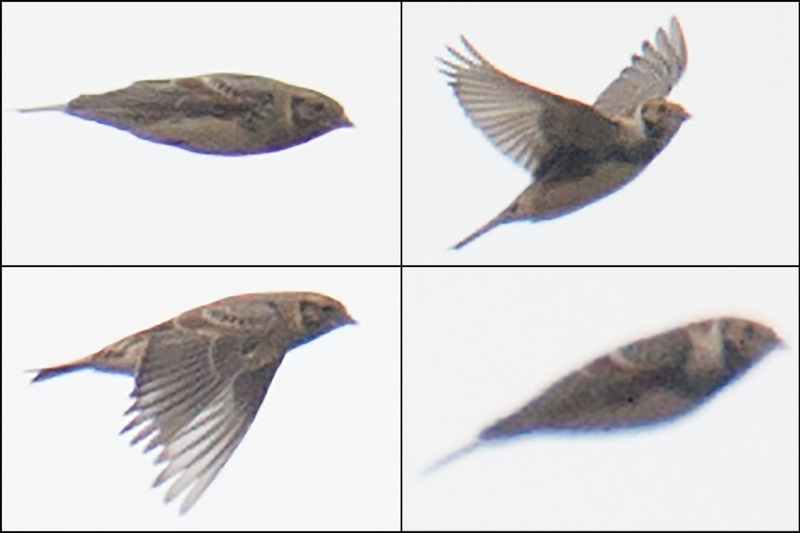 23 Jan. 2016 (51 species). 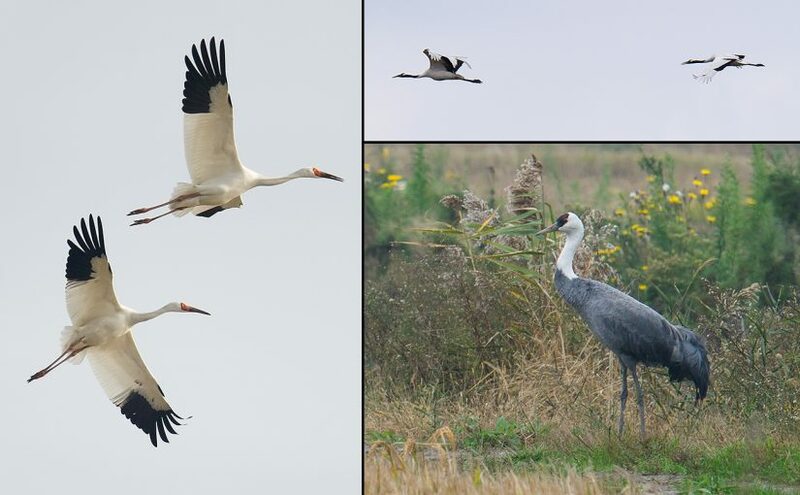 Around Chongming Dongtan National Bird Sanctuary and Nature Reserve (Chóngmíng Dōngtān Niǎolèi Guójiājí Zìrán Bǎohùqū [崇明东滩鸟类国家级自然保护区]), Chongming Island, Shanghai, China (31.510109, 121.961955). Breezy and clear; low -8°C, high -1°C. Wind NW 32 km/h. Visibility 10 km. PM2.5 AQI: 70. Sunrise 06:51, sunset 17:22. SAT 23 JAN 2016 10:15-17:30. Craig Brelsford & Elaine Du. 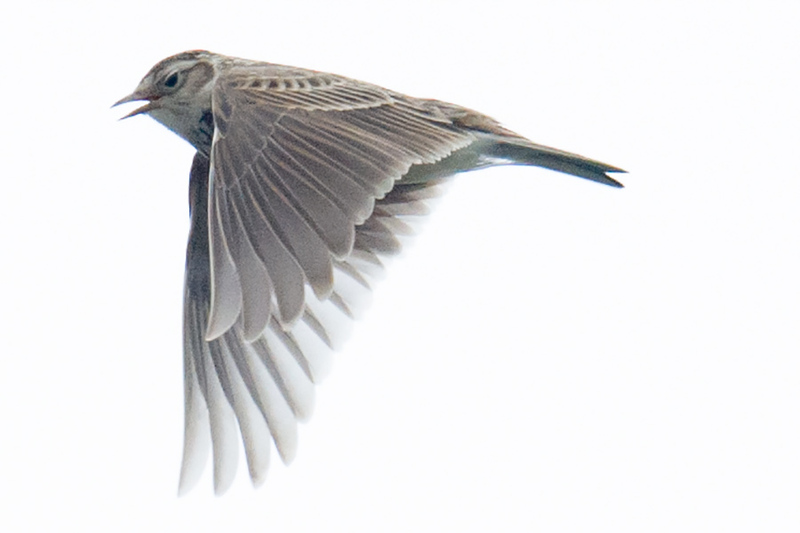 Mixed in with the Buff-bellied Pipit were Red-throated Pipit (above) and Water Pipit. List 1 of 1 for Sun. 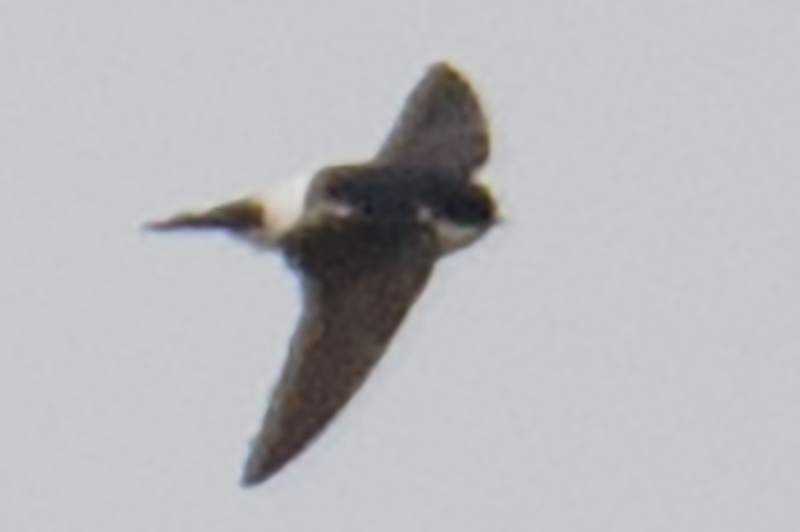 24 Jan. 2016 (50 species). Around Pudong Nanhui Dongtan Wetland (Pǔdōng Nánhuì Dōngtān Shīdì [浦东南汇东滩湿地]), Shanghai, China (30.920507, 121.973159). 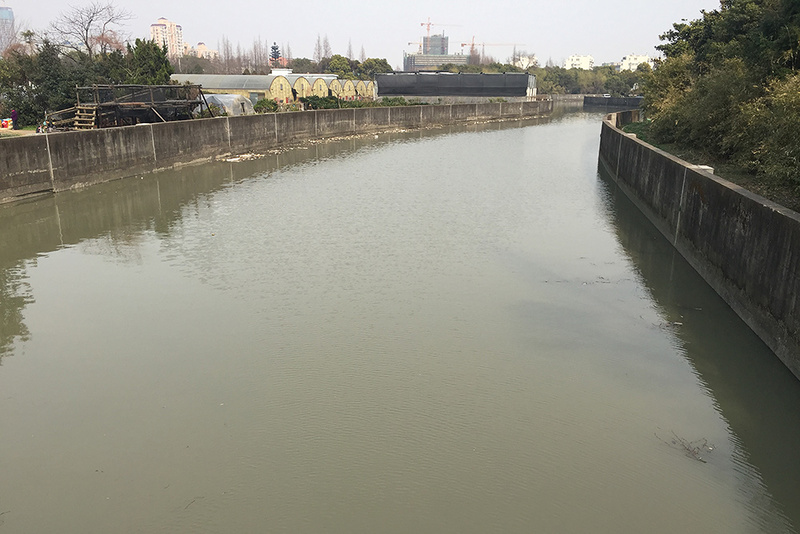 List includes birds found at Dishui Lake (30.908702, 121.945124) and along Shijitang Road from 31.000204, 121.938145 S to 30.851114, 121.848527. Blustery, cold, and sunny; low -8°C, high -6°C. Visibility 10 km. Wind NW 40 km/h. PM2.5 AQI: 68. Sunrise 06:51, sunset 17:23. SUN 24 JAN 2016 07:15-16:30. Craig Brelsford, Elaine Du, & Michael Grunwell. 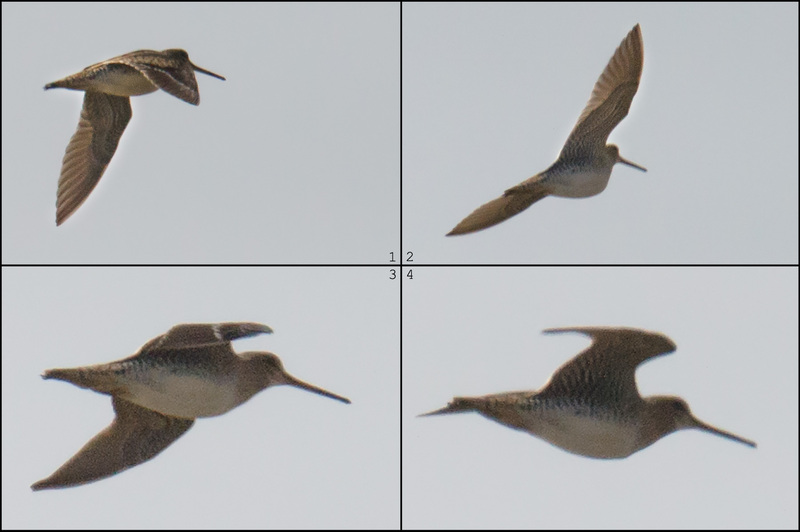 Blustery winds made for tough birding. 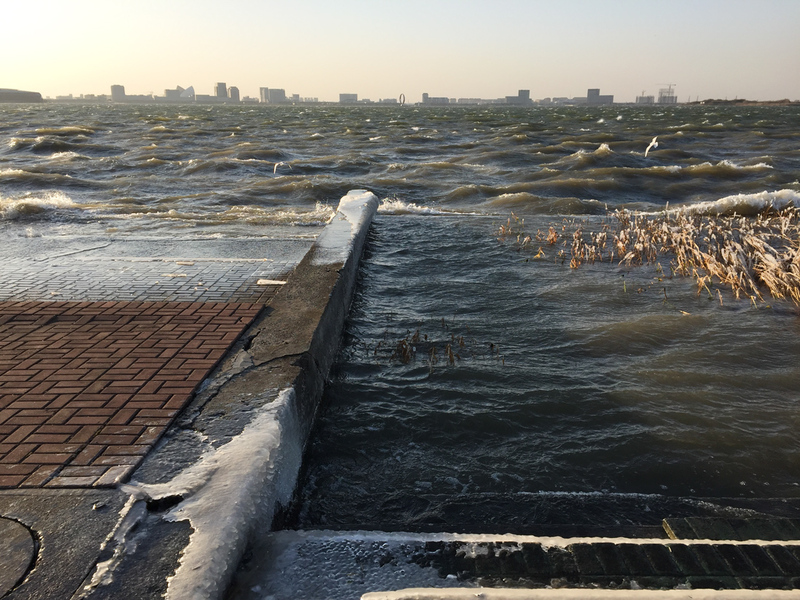 Here, Dishui Lake looks like a surging Arctic sea. 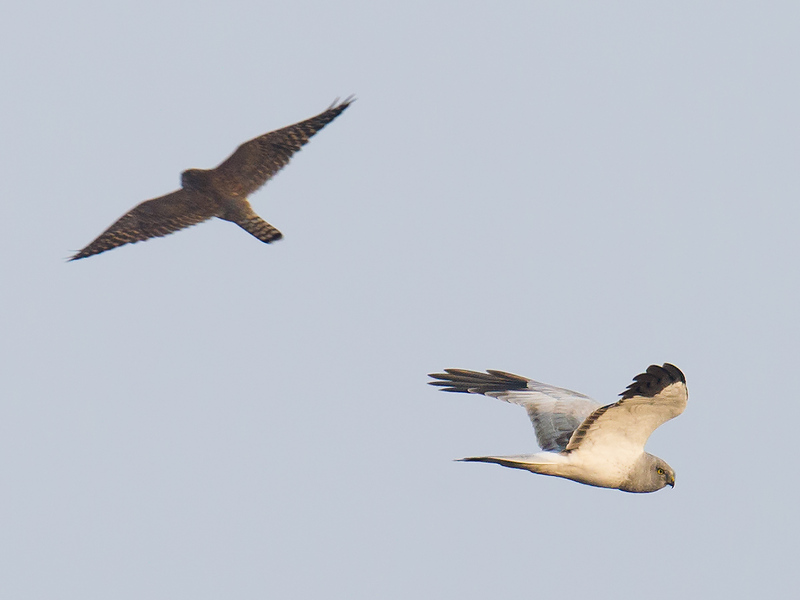 Note Black-headed Gull flying in background. Featured image: Cinereous Vulture Aegypius monachus, Chongming Island, Shanghai, 23 Jan. 2016. 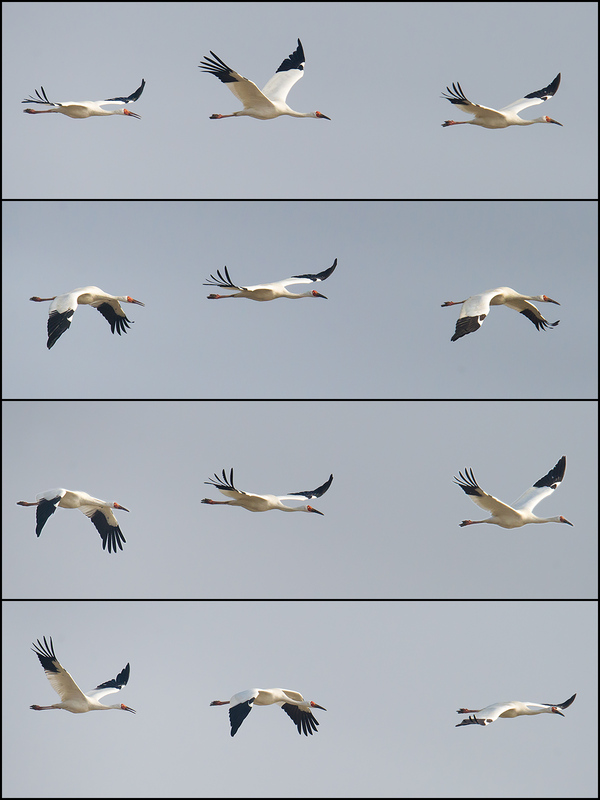 Photographed using Nikon D3S and Nikkor VR 600mm F/4G lens mounted atop Manfrotto 055 carbon-fiber tripod and MVH502AH video head. F/9, 1/1250, ISO 2000.